Kanawha Circuit Court Judge Carrie Webster ruled on Tuesday that the Grand Lodge of West Virginia AF&AM violated its own internal rules in the manner in which PGM Frank Haas was expelled without a Masonic trial. However, today the jury awarded NO remedy or damages on the breach of contract. The upshot: Grand Lodge was wrong to expel Haas in the manner it did, but there are no legal penalties of any kind against them for breaking those internal rules. 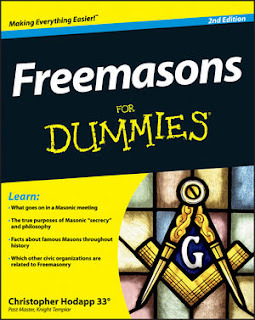 Haas was not reinstated as a Mason by the Court. His lifetime membership in West Virginia remains forfeited. Haas was made a Mason on April 17th in Steubenville Lodge No. 45 in Ohio, where he has since been installed as Senior Deacon. As a result of that action, the Grand Lodge of West Virginia has unrecognized the Grand Lodge of Ohio, and West Virginia Masons risk expulsion by visiting Ohio lodges. See the article Jury sides with Grand Lodge in Mason expulsion case in the Charleston Gazette. Also Jury finds Masons not guilty in case in The Charleston daily Mail. Excuse me but where is the justice? 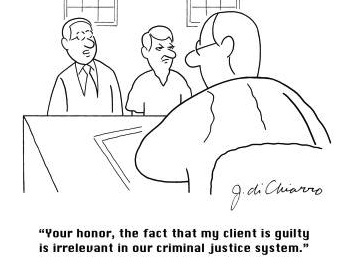 It is OK to commit a crime, let the courts find you guilty and you pay nothing for your crime? Unjust!!! So where is the justice in this ruling??? 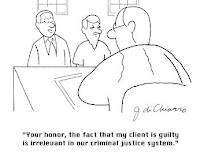 They are telling the GL that it is OK to break rules and commit crimes because even if you are found to be guilty, we will not make you pay for your crime. I thought I disliked WV because of FB coach Rich Rod, I guess it is the whole state that is screwed up. The decision by the Judge was that the violation of the rules had been committed. The judgement was NOT that any Law had been broken. At least that is what I am reading. Actually the law would be violation of contract. I find WV's behavior in this case sad and very un-Masonic. Sure we like to argue over form and function but to take that to the levels WV has is just wrong. The vigilantism aside, denying funeral services to a poor grieving widow because another Grand Lodge allowed him to join is reprehensible. The only way this can truly be resolved is that the brethren of West Virginia need to either take action and clean up this Wheeling Reform mess, or through a ballot, proclaim it to be their official position on the matter. Only then can they truly move beyond this. The GLofWV need to grow up and recognize the GLofOhio for the sake of all the fraternity as a whole. 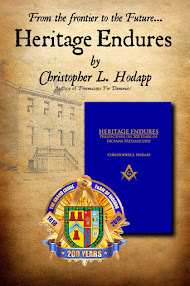 Ohio was correct in their allowing MW Haas to become a Mason in an Ohio Lodge, because if West Virginia really wanted MW Haas permanently kicked out of the fraternity, then they would have given him a fair Masonic Trial, as is part of the rights and benefits of being a Master Mason. The West Virginia Grand Master used an Edict to remove MW Haas from West Virginia Masonry. Edicts only have authority within their own Grand Jurisdiction, which excludes Ohio, therefore MW Haas is now an Ohio Mason through legitimate efforts. That is my take on this. "Does anyone else find it ironic that the oldest Lodge in West Virgina is OHIO LODGE 1..."
I demitted from the Grand Lodge of West Virginia in May because of all of this. Pulling recognition of Ohio was the last straw for me. That move affected many brethren, in particular the one who was denied Masonic honors at his grave side. His family was disrespected at the lowest point in their lives. A simple one day reprieve from dis-association would have been the brotherly thing to do. More and more of us on the border counties of WV are leaving and going to Ohio, Pennsylvania, Maryland and Virginia. We have a choice, and we choose to affiliate with Grand Lodges who support true Masonry. I can tell you this - West Virginia Masonry will not fix itself.Votes, proposals, anything presented to the Grand Lodge for change are met with the same response every time: "In West Virginia we practice 'Ancient Craft Masonry'we just can't change anything, our obligation doesn't allow for it." They use the "make no innovations" clause of the obligation to permanently table all progress, and use the edict to persecute anyone who holds an opinion. The brethren of the state long for outside help in these maters and only one Grand Lodge has dared to lend any semblance of help - Ohio. I feel bad for my WV brethren who are afraid to demit, or don't live in border counties. Someone from the outside needs to do something. If other Grand Lodges have a problem with what has been going on in WV, then they need to step up and do something about it, otherwise things will not get better. What did he get expelled for? Could there be a rule somewhere in an old book to justify an instant action? Has Your Lodge Held A Burns Supper?